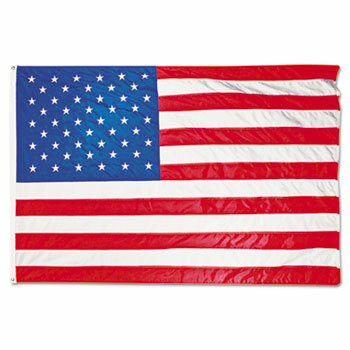 Home > Office Products > United States Flags > All-Weather Outdoor U.S. 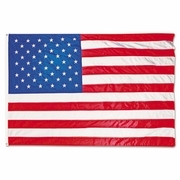 Flag, Heavyweight Nylon, 5 ft. x 8 ft.
All-weather U.S. flag made of 100% heavyweight nylon features sewn stripes and embroidered stars. The white canvas heads are fitted with brass grommets.